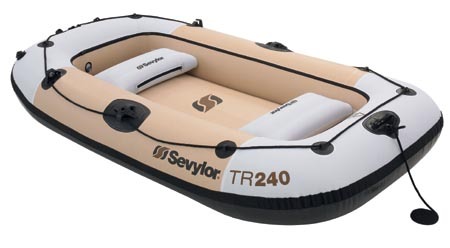 Sevylor have been manufacturing inflatable boats for over 37 years and have acquired a great deal of expertise in this field. 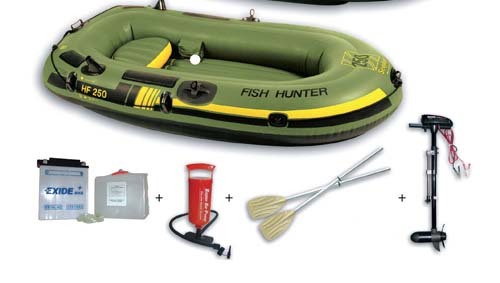 The KK65 is a good all purpose family recreation boat and comes with a kit which consists of a basic pump and 2 basic oars. 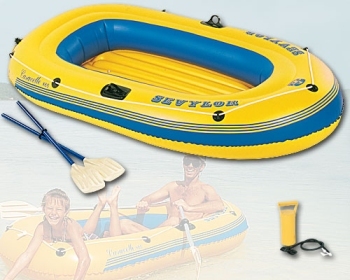 This Dinghy is Not Suitable For use with a Motor. 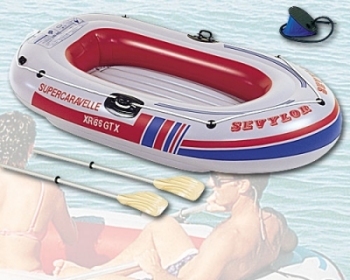 Sevylor have been manufacturing inflatable boats for over 37 years and have acquired a great deal of expertise in this field. The K85 is a good all purpose dinghy and can be bought as part of a kit with a pump and 2 oars, and with the additional purchase of an MMR Mount this boat can accept a 2 HP Petrol Motor or the SBM 12 volt electric motor. All models are equipped with 2 main DIN chambers + 2 tunnel chambers, 2 molded oar locks, + fittings for Sevylor SBM electric motor.This Model can accept an MMR Motor mount enabling it to take upto a 2 HP petrol motor, and a nylon cover. Supplied with pump and oars. All models in this range are made of very strong, durable PVC material, and have fittings to attach the Sevylor SBM electric motor directly. This particular model unlike the HF280 & HF360 is not designed to accept the MM3 motor Mount. 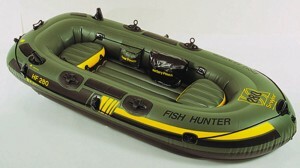 For paddles & pumps and SBM motor please see our accessories page where we do starter packs etc. 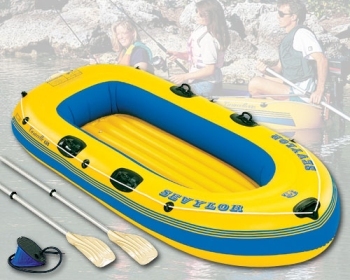 Light but sturdy and comfortably takes 3 adults yet packs down for easy stowing, making it an ideal Dinghy or Tender Boat. The width of the stylish Raptor and its woodem floor slats make these boats very stable and rigid, perfect for outdoor and fishing excursions. 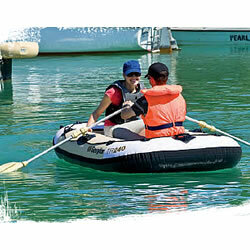 It can be fitted with an electric motor and it has a reinforced transom board for extra strength.